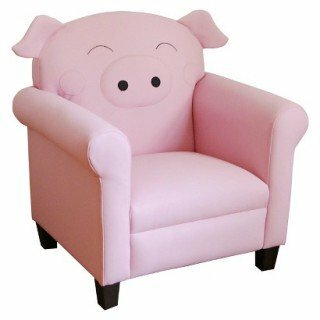 What child wouldn't love to have their own pig, especially when it is a comfy armchair? This whimsical piece of child-sized furniture in the guise of a blissfully happy pig is only available on Target.com, not sold in stores. What a way to add a special touch to a child's room. The piece can be added to a farm or barnyard themed room, or enhance the pink passions of your little princess. It can also provide you child his or her own special seat in the family room for watching TV. For just $50 plus shipping, you little one can be living high on the hog. Learn more about the Pig Chair here. Crocodile Versus Lions PART 2! Who Wins in The Animal Video of the Day!! !